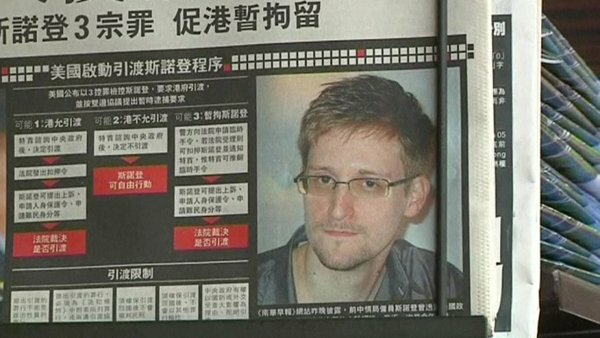 What can the public take from the Snowden leaks? A lot, I think. I’ve written a piece on this which features on OpenDemocracy this morning. As Joseph Heller once wrote, ‘just because you’re paranoid doesn’t mean they aren’t after you’. These words are uncomfortably fitting following the latest leak of Edward Snowden last Friday. Memos from the British intelligence agency, GCHQ, reveal that it has been given unparalleled powers among any Western (if not global) state to access and record almost all of our emails, web searches, and phone conversations. For independent citizens this may feel indeed ‘catastrophic’, but it marks only the latest unfolding of an extreme and out-of-control surveillance culture which suggests that the British government’s greatest enemy is its own people. …. Read more of “What have I got to fear, if you’ve got something to hide?” at oD now. the whole experience was a crash course in political reality […] henceforth I knew that ‘repressive arm of the state’ is no mere piece of academic Marxist jargon – there really is an iron first within the velvet glove of consumer capitalism. I became convinced that the libertarian tactic of trying to organize the most smashed and marginalized sections of the population could not succeed, certainly not on its own, in a political void, […] and groups in conflict with the law […] must try to find some way of aligning themselves with the mainstream organizations of the working class and the progressive movement. (Hidden Agendas, pp. 42-3). There’s some problems in translating these remarks to now. What mainstream organisations can we speak of, when the major unions only seem interested in hot, insincere words and bankrolling the Labour Party, a parliamentary lobby group for big business driven by Oxbridge MPs? And don’t many people already know what that iron fist feels like, be it as victims of violence at protests or racially-profiled stop and searches? In an era of mass unemployment and temporary part-time jobs, the whole concept of working class also needs redefining. New organisations are now needed. The situation is desperate and I sense, like in other periods of history, depression, tolerance and passivity can only endure for so long. What would an application of Behaviourism to a democratic, socialist politics look like? Posted on June 25, 2013 by JD Taylor	This entry was posted in Political. Bookmark the permalink. ← What is a People’s Assembly for?